K-on! - Nakano Azusa Alter Ver. 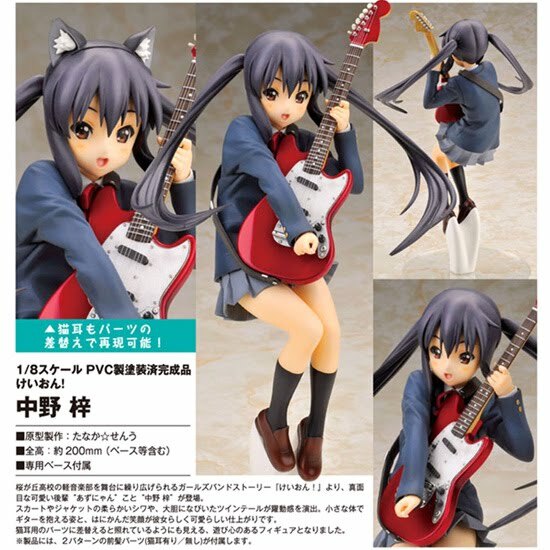 Just when you thought there was too much cuteness with the Nakano Azusa Nendoroid figure, Alter goes and announces a wonderfully cute 1/8th scale model her too. Expected to come out some time in June or so, Nakano isn't as expensive as some of the other 1/8th scale figures but a price tag of $85-$90 still makes you wish the Yen was weak again and the US gets it's financial game back in gear (along with many other issues). Still though, if you are like me, you will probably get one for yourself ^^ and yes, she's found in my store here for pre-order or you can reserve one by email with this link.